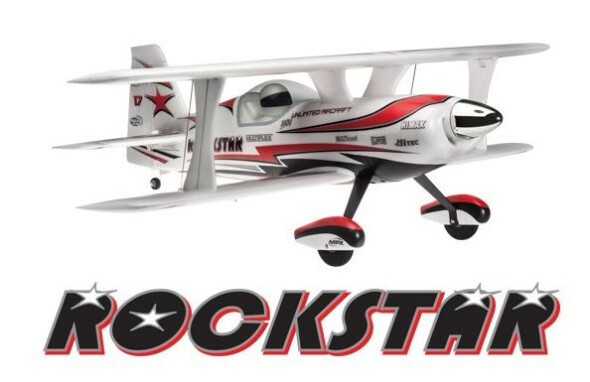 Hitec invites aerobatic loving pilots to party with one of their new offerings for 2015, the Rockstar. This sleek yet flashy biplane from Multiplex is the ultimate in aerial excitement and entertainment. 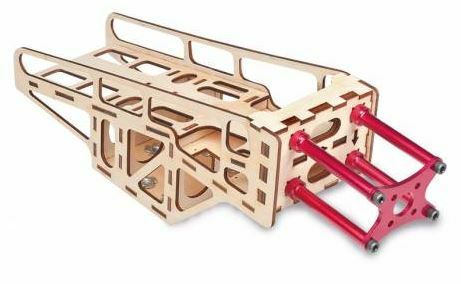 Constructed out of resilient Elapor® foam and carbon fiber, the Rockstar uses Multiplex’s exclusive M-frame technology. 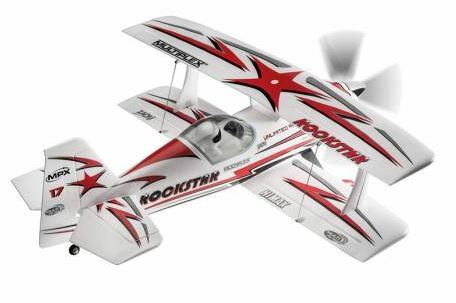 This endows the Rockstar with a rigid and robust airframe, making it a powerful and energetic performer. An efficient brushless motor, dependable pre-installed metal-gear Hitec servos and a brilliant chrome spinner promise high flying adventure. Expert pilots will have a blast rocking out impressive 3D maneuvers, wild torque rolls, dazzling spins and inverted harriers with this airshow stunner! Choose the RR or Kit version and prepare to party with the Rockstar! Watch the video below for a peek at what this high performance model is capable of and then click over to Hitec RCD USA for more information!